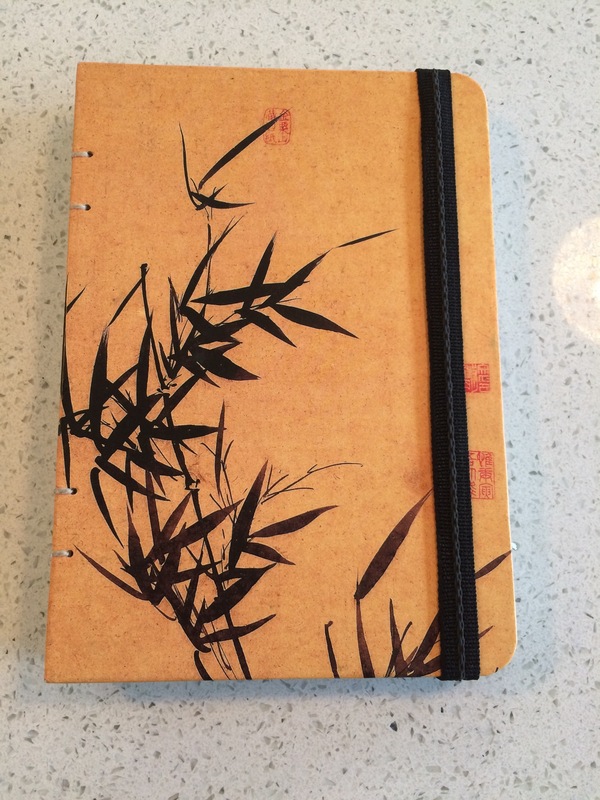 In my minimalism purge, I came across my poetry journal and thought I would share a few. I feel a little naked doing this, so I probably won’t post a ton. Let me know what you think! 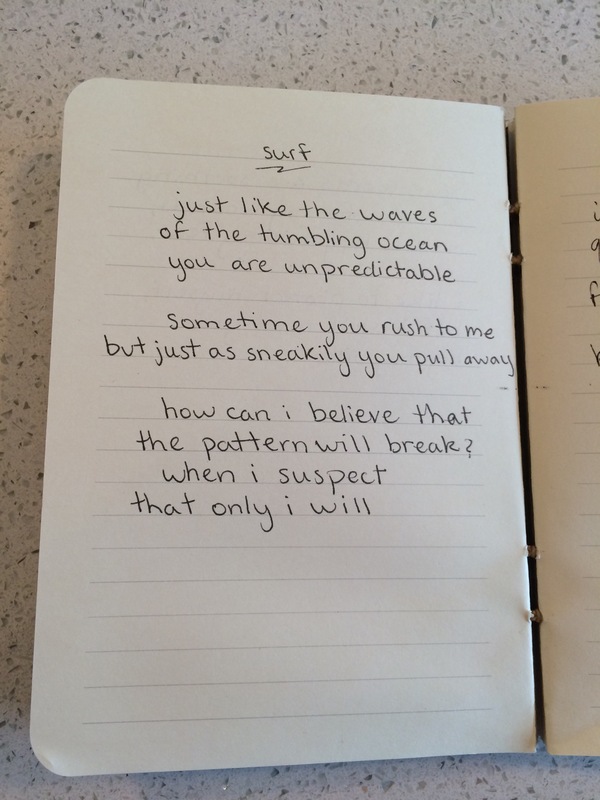 Do any of you like to write poetry? I go through phases. I won’t write at all for months, and suddenly I’ll feel inspired and just scribble out a few for no apparent reason. Ya I do suffer from poetrymania ;). I scribble when I am inspired by any idea . Its a part of me and thats what I love the most . Writing is my love . 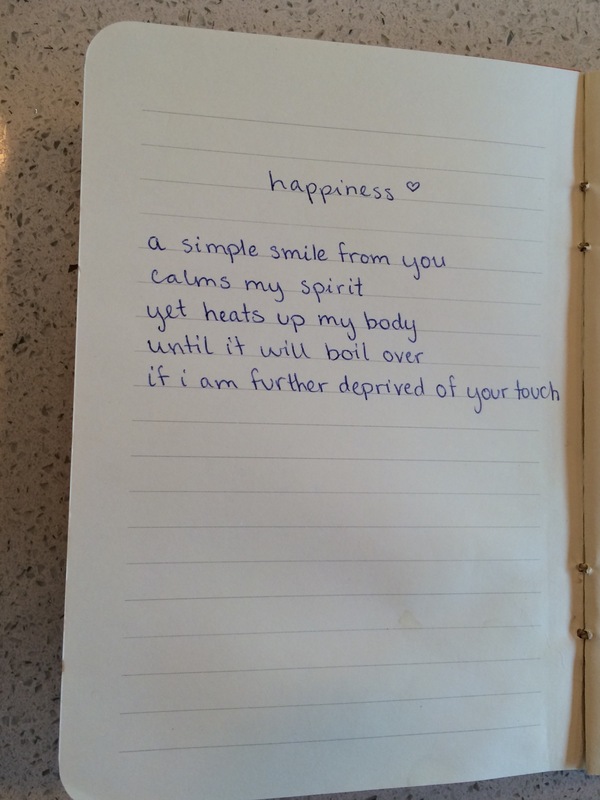 I loved your poems Jill , especially happiness , its simple and compact . Keep going . Thank you so much! That means a lot to me 🙂 Do you have any of your poetry up? Why? I haven’t a clue. Did you tell him that you don’t eat his shoes?